'Tis the season for simmering fragrant herbs and spices on the stovetop. 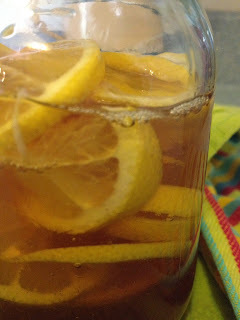 I add powdered cinnamon and ginger and a few drops of sweet orange essential oil to the mix. It is pretty in bowls or jars, and smells lovely when simmering in water in my favorite little enamel pan. A simpler way to add fragrance to the home is to simmer fresh orange peels and cinnamon in water. 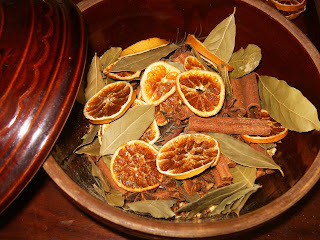 Do you have a favorite simmering potpourri that you make?